Please, send me more information on this property: MLS# 24359722 – $355,000 – 2023 Stebbins Drive, Houston, TX 77043. This beautiful 3 story home offers, tile, carpet and wood flooring. The designer kitchen has quartz countertops and 42 maple cabinets. The master has two closets, Quartz countertops in the master bath with maple cabinets. This home has a great flex space on the third floor. Beautiful home in the highly desired community of Spring Shadows! This home has a beautifully updated kitchen, open concept living room, study/game room, 4 bedrooms and 2 bathrooms. Homeowners spared no expense in the detailed updates to this home. Custom cabinetry throughout the kitchen and living room, stainless steel appliances, granite countertops, bamboo & travertine floors and MORE! Relax by the fireplace and enjoy open concept living in your energy efficient home: double pane low-E windows & LP smart siding with new exterior insulation. You will also note a 2008 roof, sprinkler system, & smart fridge (INCLUDED) and front loading washer/dryer (INCLUDED)! This home is conveniently located in close proximity to the Energy Corridor & City Center. Home is quietly nestled on a cul-de-sac road, with low traffic. Sleep soundly knowing your home investment is in the coveted Spring Shadows neighborhood and has NEVER FLOODED! Get started by scheduling your private tour today! Provence Memorial is located in the desirable West Houston area where you can select from 2 and 3 story Life Tested ® floor plans with versatile layouts, all nestled in a gated-enclave that offers residents quick access to major corridors like Beltway 8 and I-10. The 2-story Leland provides entertaining space with its 1st floor kitchen, gathering room, and café space. Journey upstairs to the impressive 2nd floor that features the owner’s suite and two secondary bedrooms. An owners suite featuring a spacious walk-in closet completes the stunning second floor. Upgrades include: 9ft ceilings, upgraded countertops and cabinets in the kitchen, stainless steel appliances, ceiling fans, double vanity and separate tub & shower in owner’s bath and relax outside on the covered patio! Available for March 2019 Move-In! This beautiful 3 story home offers, tile, carpet and wood flooring. The designer kitchen has Granite countertops and 42 maple cabinets. The master has two closets, Granite countertops in the master bath with maple cabinets. This open-concept home offers luxury and functionality that spans three levels. The flexible first floor layout and the generous 2nd floor gathering room and kitchen makes entertaining easy. Guests will love coming to your home, first because you will have plenty of parking space with the extended driveway. Everyone will enjoy the modern design finishes found throughout the home. The kitchen is outfitted with stainless steel appliances, upgraded cabinets & countertops and a large pantry. Relax in the comfort of the owner’s suite and enjoy time in the owner’s bath with the separate tub & shower. Like the outdoors? Well this home has a spacious backyard and covered patio perfect for unwinding after a long day. Available for September 2019 Move-In! 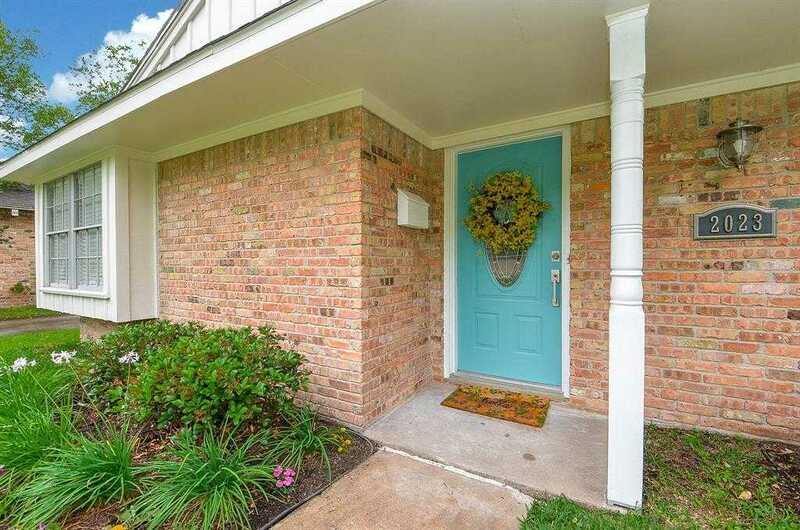 Well maintained spacious ranch style home located one mile from Memorial Hermann Hospital, City Centre, Memorial City mall, I-10 and Beltway 8. New roof installed in 2018 before the hurricane. Home has original hardwood oak floors and new double paned insulated windows and a tankless water heater. Freshly painted in neutral gray palette with white trim. SS appliances, 5 burner gas range and granite counters. Quiet neighborhood, heavily wooded, huge backyard with 24×24 deck and two large oak trees provide lots of shade in the summer. New custom home across street sold recently in $650’s. House, street and neighborhood have NEVER flooded. Don’t miss out on this beautiful home! This 2-story home is on a fantastic lot! The home has the perfect layout for entertaining family and guests. The first floor has an open concept layout. You will instantly enter the kitchen where all the great meals will be cooked. From the kitchen, you will see the gathering room and café space. The second story is equally impressive with the owner’s suite and secondary bedrooms. After a long, hard day relax outside and enjoy the view of your backyard. Stunning recent (2014) construction in the heart of Spring Branch! 3 bedrooms, 2 1/2 baths w/custom built-out closets. First Floor: Chef’s kitchen with large Island,stainless Frigidaire appliances, ample storage & under/over cabinet LED lighting. Light-filled open living & dining ideal for entertaining & families. All bedrooms up. Large extended patio makes entertaining a breeze. Additional features include: custom dry bar w/wine fridge,tankless water heater, plantation shutters & wiring for surround sound. Exceptionally maintained gated community with tree lined park & Tons of guest parking. Move-In Ready Spring Branch Home!! Enjoy this beautifully updated Spring Branch home tucked away in Timber Oaks and conveniently located near both Beltway 8 and I-10. Excellent floor plan with an open concept living room, kitchen, and breakfast area as well as a large study/den. Updated floors, countertops, backsplash, custom cabinetry, coffee bar, wine fridge, and stainless-steel appliances make this kitchen both stylish and functional for everyday life. Completely renovated master bathroom includes a double sink and walk-in shower. The outside of the home has been upgraded with ECO Friendly decking under the covered patio, ¾ cedar siding as well as recently painted Hardiplank on both the front/back of the house and an automatic sprinkler system. The home also has PEX plumbing and a tankless water heater. Do not miss your opportunity to see this beautiful home today!